Maybe you're not quite ready to completely remodel, build, or gut your bathroom; but still want that extra 'something'. Below will show you simple ways to give your bathroom a fresh look for fall! 1. Change Your Faucet. 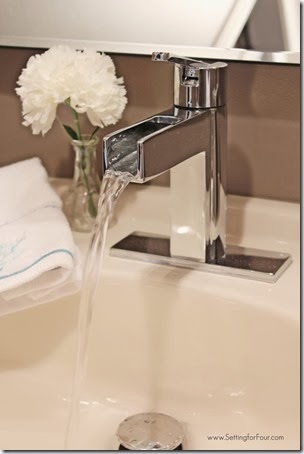 Whether you change your faucet because it's no longer functional, you don't like the design, the finish isn't what you want, or you simply want that 'wow' factor, installing a new faucet is easy, noticeable, and can truly change the dynamic of your bathroom. Here's an example of a before and after! 2. 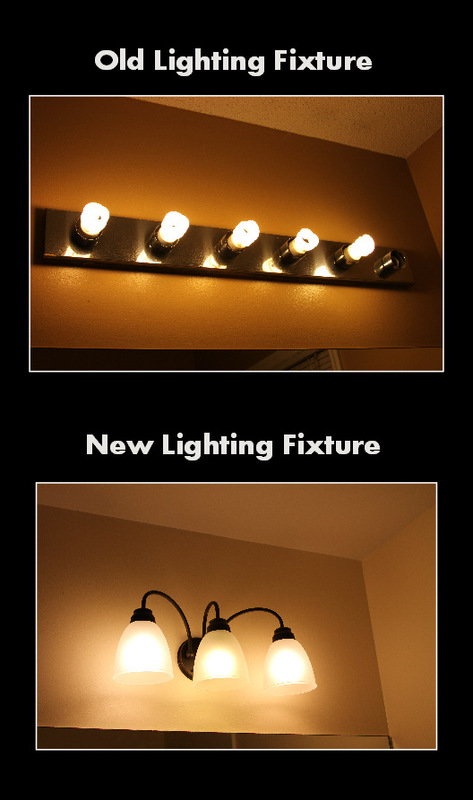 Light Fixture Change: Lighting can be a breathtaking feature in a bathroom; big or small. Choosing the right design, location, and size can dramatically effect the 'vibe' of the bathroom. 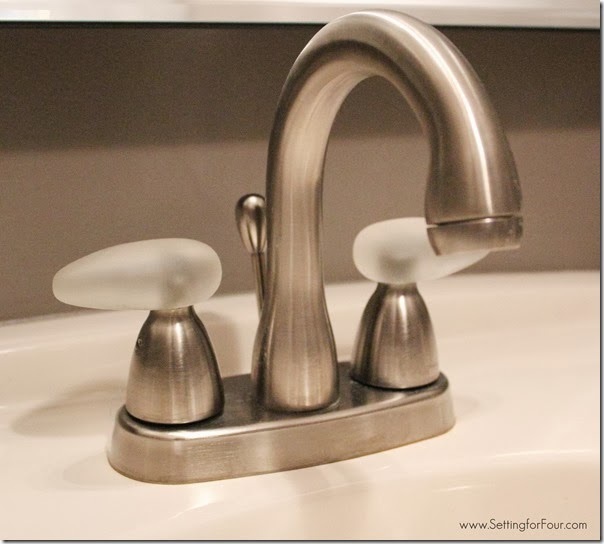 Check out the difference this simple light fixture swap made in this bathroom! 3. 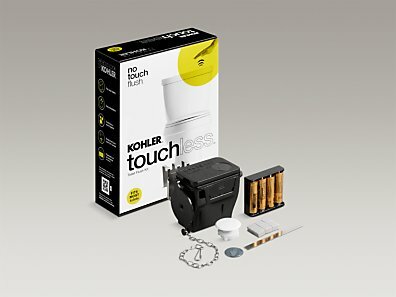 Touchless Toilet Flush Kit: Upgrade your current toilet to a no-touch flush. This easy to install kit brings a touchless flush to almost any toilet. Once it's installed, just hold your hand over the tank sensor to activate the flush. No handle to touch means fewer germs to pick up, or leave behind! 4. Electric Mirror: Ever struggled putting on your make-up because the light shadows, it's dim, or it's simply ineffective? Electric Mirrors have natural light ideal for make-up application, environmentally sustainable and energy efficient lighting, and low-mercury T5HO warm fluorescent bulbs. 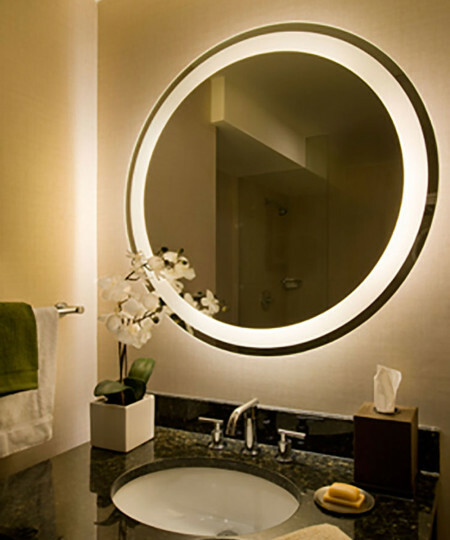 In addition to incredible functionality, electric mirrors are aesthetically gorgeous design pieces to add to any bathroom or powder room. 5. 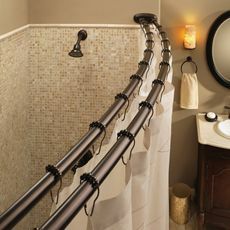 Curved Shower Rod: This curved double-rod is designed to separate your shower curtain from the liner; while adding a touch of design. This rod has decorative covers to add an elegant look while concealing installation screws. Also, an added bonus with the curved shower rod, is that it gives slightly more room in the tub and shower!